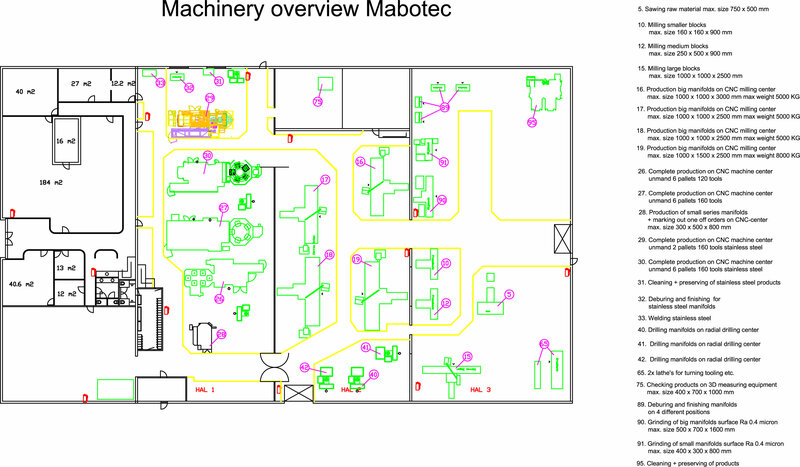 Mabotec specialises in the design and production of hydraulic manifolds within the Fluid Power Industry. Mabotec is ISO 9001 certified, which garantees top quality management and production. Our current process automation is creating the best facility for manifold production within the hydraulic market. Mabotec stands for high quality hydraulic manifolds. One of the leading projects is fluid power innovation within the offshore branch. Using seawater instead of oil is a major issue to feed hydraulic systems. Powerful solution for the most sophisticated hydraulic system applications. Mabotec and sustainability: Fossil energy sources are becoming increasingly expensive. In addition, the transition to other types of energy is encouraged from the public debate about this and from the government. Mabotec, and its sister company Hydroplus, have recently switched to the partly self-generation of their electricity supply.